Cultural influences on healthcare delivery in the U.S. If you have heard of immunizations being against an individual’s religious beliefs, if you have heard of a “peace pipe”, if you have been to a Catholic wedding, or have watched the movie My Big Fat Greek Wedding, you can begin to understand the complexity of cultural and religious traditions, and how cultural and religious traditions can impact health. For me to recommend Windex as a cure to most topical ailments would most likely not be well received, and although used for comedic effects in the previously mentioned movie, my ignorance in the basis for this cultural belief in medicine would be most profound. My poor understanding of cultural history therefore, can affect my ability to provide effective healthcare, for I do not understand how my recommendations would have implications on their beliefs. Historically, healthcare in the United States has been provided by Americans of European decent. The dominating European influence has resulted in a healthcare system based in diagnostic precision, biomarkers for disease, and treatment guidelines with measurable outcomes. In the upcoming decades, the majority of those living in the United States will be from a minority background. Cultural and traditional diversity within patient populations will make delivery of effective healthcare challenging. This change is requiring healthcare providers to be trained to better understand, and have respect for, diverse cultural traditions and beliefs. An example of this sometimes is found in a diabetic with religious beliefs which requires fasting. Teach back methods where patients repeat back what a provider has discussed, telephone interpretation services, and motivational interviewing techniques will all be necessary to improve compliance and outcomes. Patience and understanding will be required by patients as well. Try to find physicians and primary care providers who respect and understand you. But, be aware that sometimes their recommendations cannot always be as you would like for them to be. Cutting back on wine, cigarettes, carbohydrates, or sweets, prevents disease, but you don’t have to let these impact interactions with those you care about. However, don’t live in denial either, if you are not willing to change your lifestyle to the degree recommended, try to be compliant with medications which will lower the likelihood of disease progression, or do other recommended activities to reduce the progression of disease. 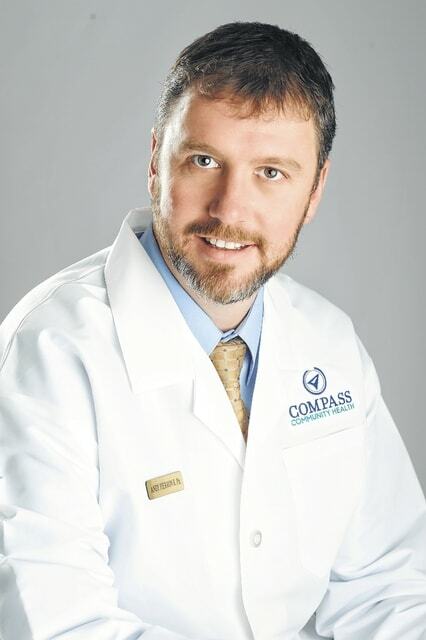 Andy Pierron, BSPharm R.Ph., is Compass Community Health Care Center Director of Pharmacy Services.